When you're working in a setting where there's a high risk of abrasion or cut hazards, it's integral that you don't just protect your hands as the arms are also prone to injuries as a result of mechanical risks. The HexArmor Penta Armor 1010 Cut Resistant Arm Sleeve is a protective arm guard that extends from your wrist to the mid-upper arm for excellent protection. 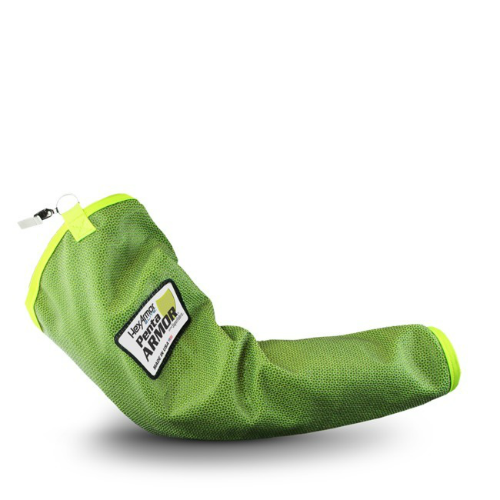 The HexArmor Cut Resistant Arm Sleeve is available in five sizes to suit a range of users. Please refer to the sizing chart below for more information. Find out how the HexArmor 1010 Arm Sleeve can protect you by watching the video below. 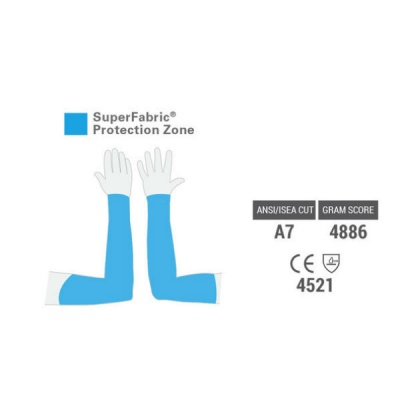 The sleeve should cover most of the arm to protect against cut or puncture hazards.